What are your electric car charging options? We will discuss the different levels of charging, charging station apps, and how-to tips for charging all kinds of electric cars. My LEAF, like all electric cars, came with a level 1 electric car charging cord in a bag in the back of the car. That's 120 V, just like the toaster. You can plug this into any grounded outlet. My LEAF's charger pulls 15 amps, so if your wiring is old like mine, you might have to shut off everything else on that circuit while you charge (or reset your breaker when it pops). The car will regain about 5 miles of range per hour of level 1 charging. I've found this to be the most convenient way to recharge my own car. 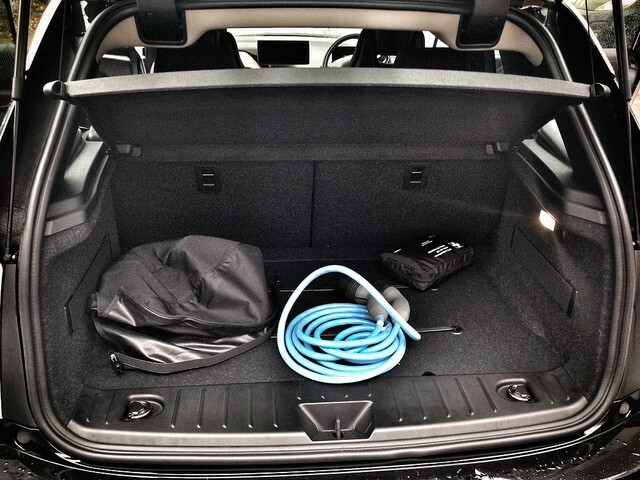 I just plug it in when I get home, go about my business, and in the morning the car is topped up and ready to go again. If you've got a grounded outlet near where you park, and you don't tend to drive more than about 100 miles – the 24 kwh LEAF's range – in one day, this might be your choice too. Level 2 charging is 240 volts, just like your kitchen range or your dryer. If you've got 240 volt wiring already in place in your garage, you can either plug in a portable Level 2 charger to the existing outlet, or you can have a permanent level 2 charger installed. This cuts your recharge time considerably. My LEAF (2013) has a 6.6 kw charger, so it can recover all its charge from empty to full in about 4 hours. In real life, you are unlikely to actually do that “0-100% in 4 hours” thing, tapping your foot as you wait impatiently. That's because gas-guzzler refueling habits are different than electric car refueling habits, and before you actually have an electric car in your driveway it is almost impossible to imagine how something so basic as “filling the tank” - something we've been doing since we were teenagers – can change so much. The truth is, even when your recharge time is “overnight”, you will spend far less time charging your electric car than you used to at the gas station filling up. You get home, you pop the charging flap, you plug in, and the electron fairies take care of the rest. In the morning, it's done. You unplug and go. Ten seconds? Twenty? No more than that. This is why electric car people's eyes glaze over when you ask them how long it takes to recharge. The answer is: who cares? I'm making dinner for the family and watching Game of Thrones. The car is doing its thing out there without me. What about level 2 charging your car away from home? This is ideal if you have a longish commute and you can plug in at work. There are also level 2 chargers in lots of places where you might spend a little time, such as restaurants and shopping malls. 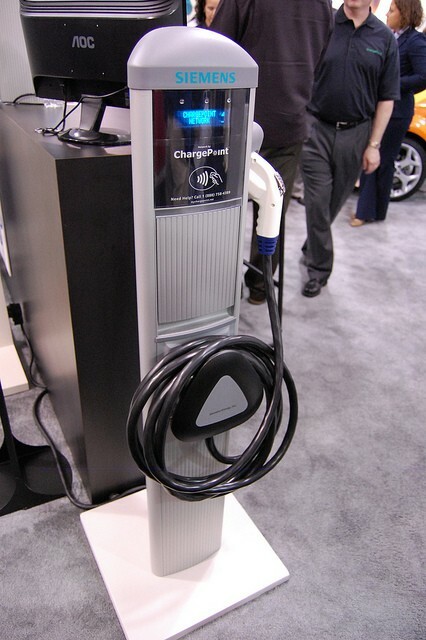 Every level 2 charging station has its own speed limit, or maximum rate at which it can deliver charge. Most often you discover this by plugging in. Some level 2 chargers, you'll soon learn, are faster than others. Why are some level 2 chargers faster than others, you quite reasonably ask? Well, because level 2 just refers to the voltage; all level 2 chargers have same voltage but maybe different amps, anywhere from 20 to 100. A 20 amp charger goes slower than the 100 amp one and so you might find that you get back 15 miles in an hour of charging at 20 amps and 25 miles in an hour of charging at 50 amps. Both chargers look identical, as far as I can see. The difference is behind the scenes. The port on the left is for Level 3 charging, called DC quick charging. If you've got the capability, it's pretty cool. It bypasses your car's charger and just sort of downloads charge directly to the battery. There are three ways to do level 3 in the US: CHAdeMO, CCS/SAE, and Tesla Superchargers. 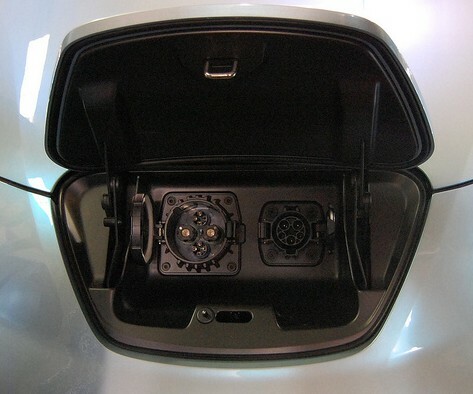 CHAdeMO is the type of quick charge port you'll find in your LEAF or other Japanese car (Mitsubishi). 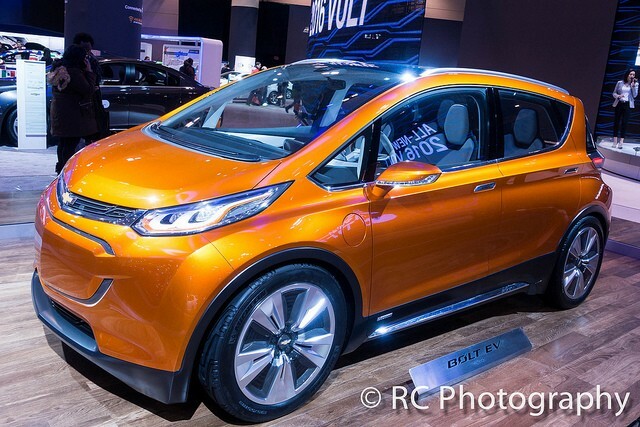 CCS/SAE is the level 3 electric car charging standard for any General Motors product like the Chevy Bolt, and all the electric cars from BMW, Daimler, Ford, Jaguar, Volkswagen, and Hyundai. It's the European standard. 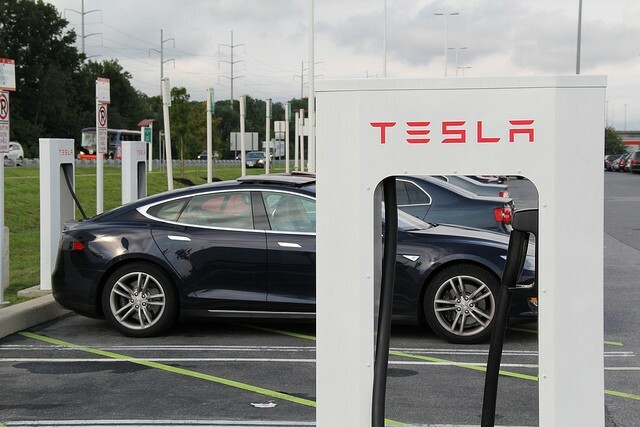 Tesla Supercharging is the level 3 electric car charging just for Teslas. There's not a CHAdeMO to Tesla adapter that I know of, nor a CCS/SAE to Tesla adapter. Tesla superchargers are just for Teslas. There are adapters that go the other way, though. Teslas can plug in at any level 2 or level 3 charger with the appropriate adapter. Tesla aside, what earthly difference could it possibly make whether my car has CHAdeMO or CCS/SAE, Lynne? So I'm kind of envisioning myself going to a dealership, seeing the quick charge port, plunking my pennies down on the spot, grabbing keys and yelling WAHOO, ROAD TRIP!! ...and then discovering when I get to parts unknown that the quick charger I was planning to plug into is not the right sort. And there's not the right sort for a hundred miles. I don't want this to happen to you. Trying to keep the JOY in “joyride” here, my friends. Which charger goes to what electric car? 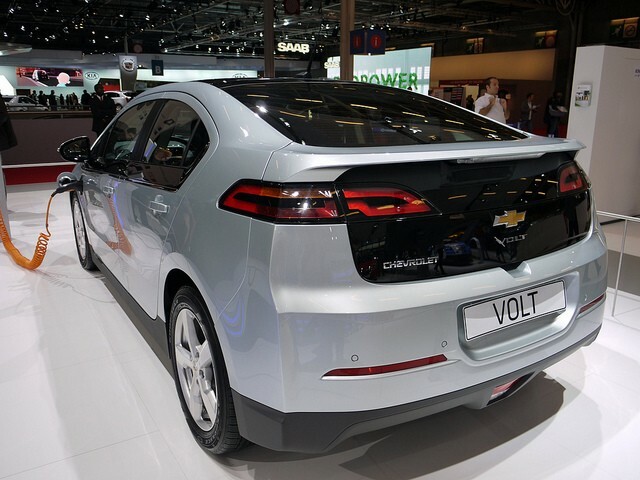 Note: A Chevy Volt recharges at about half the rate of a battery (100%) electric car. Note: The '08 Tesla Roadster can't use the Supercharger network. Not all electric cars have level 3 charging capability. Especially older ones. This feature can't be added on later. It must be wired differently from the factory. Your dealer might not know a thing about it. Open the charge port and if the quick charge port is sealed, the car doesn't have it. 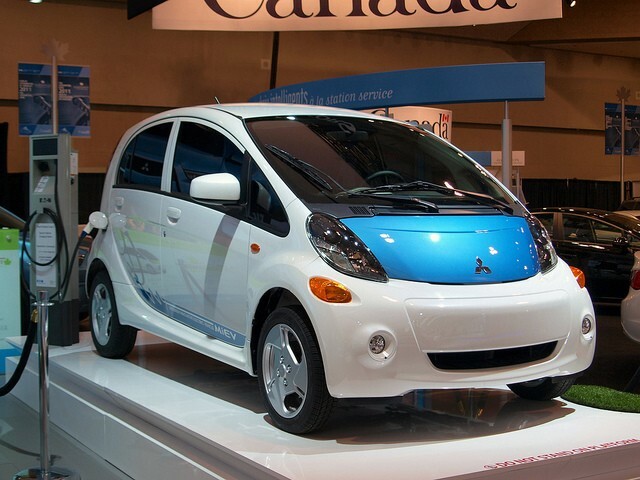 Some electric cars have two different speeds of level 2 charging. 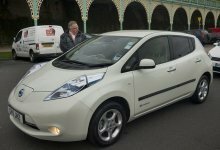 My LEAF, for example, has 3.3 kw and 6.6 kw settings. This comes in handy if you are charging at home (or at a friend's house) and the wiring is crotchety because it was installed in 1935; in this case you might prefer to use the 3.3 kw rate and, you know, not burn anything down. Each electric car charging station company has its own membership card. 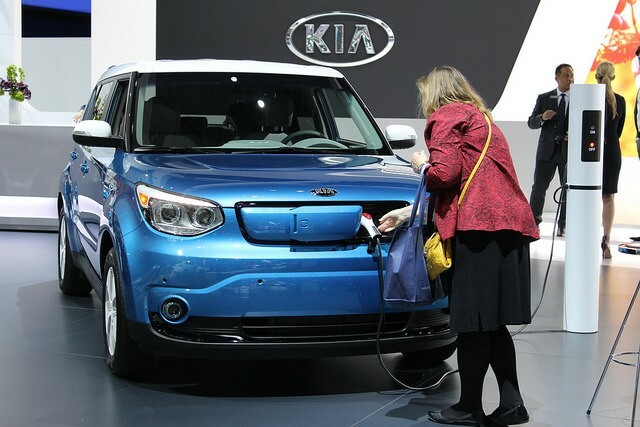 You have to call and order one, or sometimes the dealership will give you a charging card that allows you to charge for free for a period of time in certain metro areas. Plug in whenever you can. Before you buy an electric car, if you already know you'll HAVE to charge at a public charger, you'll want the quick charging option. Why? Because it takes a while to charge and these chargers are often in use, and you can wait a long time for one to just become available. With a quick charge, the longest you'll wait to plug in is 30 minutes, even if you show up right as somebody else is plugging in. Your car's navigation. There is usually an easily accessible charging station database you can access on the road. I never use it. Well, that's not true, I do use the navigation; I just never use the charging station information. They promise that they update it every so often, but...I don't know. Your mileage may vary. Charging station apps. I think all the companies that make public charging stations have made apps: Chargepoint, Blink, Webasto, etc. Now, I don't want to hurt their feelings after they went to so much trouble (so don't tell) but I don't really like any of them. You can see ALL the charging stations nearby. If people have volunteered their home chargers as an emergency refueling stop, they can be found on there, too. You can filter the charging stations that are displayed in your area based on type of charging station (J1772, CHAdeMO or CCS/SAE, Tesla Supercharger). You can look at different areas and see what types of chargers are available. 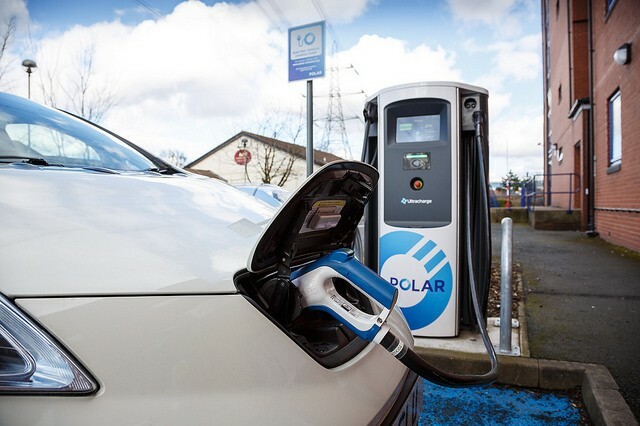 You can see not just where the chargers are located but whether they're presently in use, whether they are working at all, and get reports from fellow EV drivers on what they found when they charged there. If the charging station is not reliable, they will tell you. You, in turn, can check in with Plugshare and let the other app users know you're there. Let other EV drivers know you're there? Why would you want to do that? Well, let's say you're looking at a charger hopefully on the app and it says, “in use”. You can then click on the charger icon and see that it's your friend Jojo's LEAF. Jojo never minds if you unplug her car in an emergency, as long as you remember to send along some of Grandma's blackberry jam every year! No problem. Or, maybe Jojo is sitting in the nearby pub and you can buy her a pint and catch up. 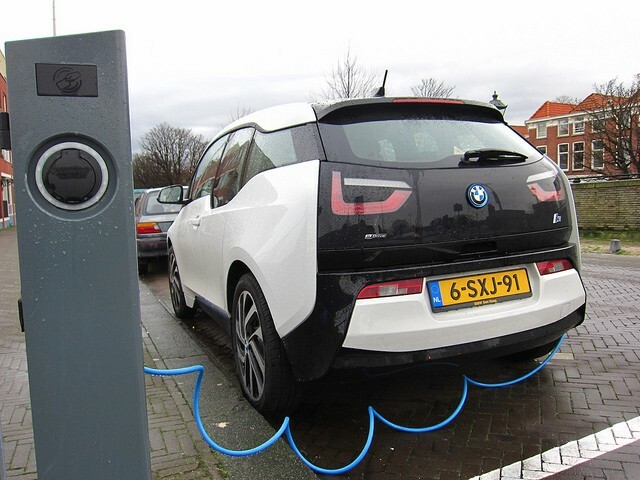 You will get to know the other EV drivers in your region from National Drive Electric Week and other events, and public charging stations can act like a water cooler for us like-minded folks. Who knows, you might meet the love of your life at an electric car charging station!